A single Cambodian mother of three spent the majority of each day begging for rice and walking many miles to gather water. The work was back-breaking, and she had little hope. The 40-pound buckets were heavy, and the water was filthy. Three years later, one small well with a hand water pump has changed their lives. The mother now has time to work and can earn an income to support her family. Her children can play and go to school. The well provides enough clean water to meet the family’s basic needs.There is enough extra water to maintain a garden, grow food for her children and to share with neighbors. Her children are healthy. And she will never again have to beg for food. This is one of hundreds of success stories Doc Hendley can tell from first-hand experience. He is the founder of Wine to Water, a nonprofit organization that built the well for the Cambodian mother, one of 600 wells rebuilt, repaired, or drilled in underdeveloped regions by the humanitarian group. Since 2004, his organization has provided clean water to more than 250,000 people in 17 countries. Impacting one life at a time hasn’t always been easy, Hendley says, but it is worth it. Ten years ago, Hendley was 30 years old and working in Raleigh, N.C. One night, he couldn’t sleep. The part-time musician thought he may be inspired to write a song about water, but instead began researching the subject. He was inspired by the information about the global water crisis. Instead of writing a song, he created the concept for an organization that would help provide clean water for people who didn’t have it. The original concept was simple. Hendley would use his connections to organize fundraisers and then donate the money to global water projects. The goal of Wine to Water is to give the fortunate population the opportunity to fight for those who cannot fight for themselves—and to give them the gift of clean water. Three hundred people attended his first event in February 2004. More successful fundraising events followed. It was important to Hendley that the money be donated to a charity that would ensure him the funds were being used to support his new passion—the world’s water crisis. He connected with Samaritan’s Purse, an international organization dedicated to helping victims of war, poverty, natural disasters, disease and famine. Kenny Isaacs and Franklin Graham were leaders of Samaritan’s Purse and took an interest in Hendley’s passion. They suggested that he visit one of the world’s most dangerous and war-torn hot spots—Darfur, Sudan. Hendley spent the next year living there. 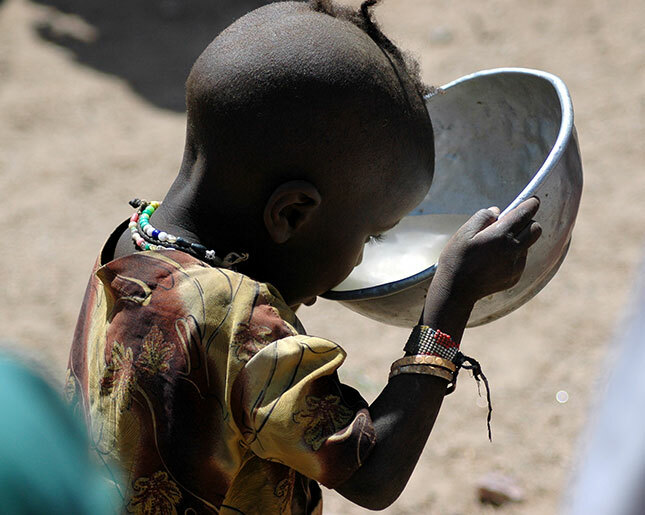 At the height of the government genocide in Darfur, Janajaweed terrorists used water as a weapon. They destroyed water bladders and dumped rotting corpses into primary water sources. 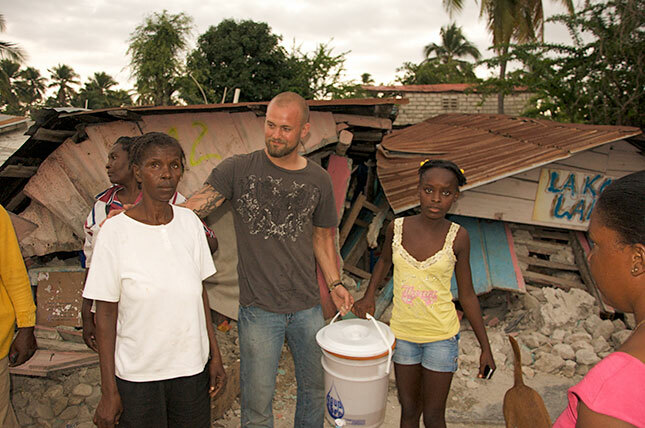 Hendley witnessed first-hand the impact of poor sanitation and the human suffering that results when people have no access to clean water. He watched people die. He escaped death many times. Some members of his team were killed. Through this experience, he developed the mission for Wine to Water. Hendley discovered that more than half the wells in Darfur were broken. He didn’t have the funds to build new ones at about $10,000 each, but he had a solution. “We didn’t have expensive machines to replace the wells, but we began to fix the wells using local people and local materials.” Hendley’s team could restore a well for about $50 each. Within four years, Wine to Water helped provide clean water solutions to four more countries. In 2009, CNN named Hendley one of its Top 10 Heroes of the Year. Hendley and his team still uses local people and local materials, but now it has raised enough money for machines to drill new wells. They have developed water filtration systems, ceramic filters, bio-sand filters and microfiber membrane filters. They have formed partnerships with companies like Sawyer, which makes filters for hikers and campers. Each Sawyer filter can create enough clean water for 100 people for 10 years. In Haiti and Cambodia, more than 18,000 ceramic filters have been produced by local workers. In some areas, rainwater harvesting systems have been created. Each new area produces a new set of challenges. “A solution that works for one area may not work for another area,” Hendley explains. In 2014, Hendley’s team was drilling in a remote spot in the Amazon jungle at the Brazil, Colombia and Peru borders. They found the water, but couldn't extract it. This is a common problem. They need specially engineered pumps to produce the water to the surface, but they must be cost efficient. The remote area is not accessible to larger drilling rigs. “We are constantly searching for solutions to problems like these,” Hendley says. Before his inspiration for the nonprofit, Hendley recalls feeling like a failure. Still, the desire for success was not what inspired him. “I have been in some of the worst places in the world and experienced a lot of ups and downs,” he says. “It has been a long process.